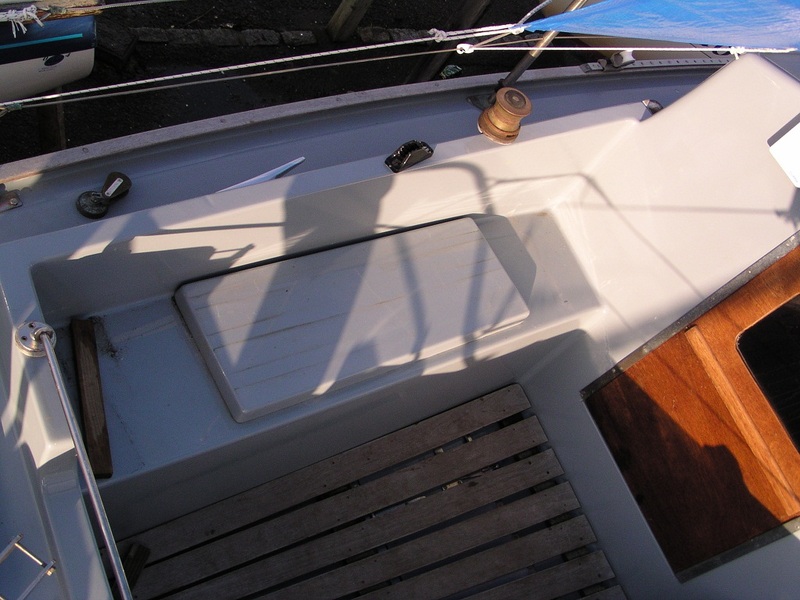 We beefed up the two stern quarter cleats, added two additional cleats on the foredeck and two more on the outside of the cockpit coaming aft of the winches (click all pictures to enlarge). 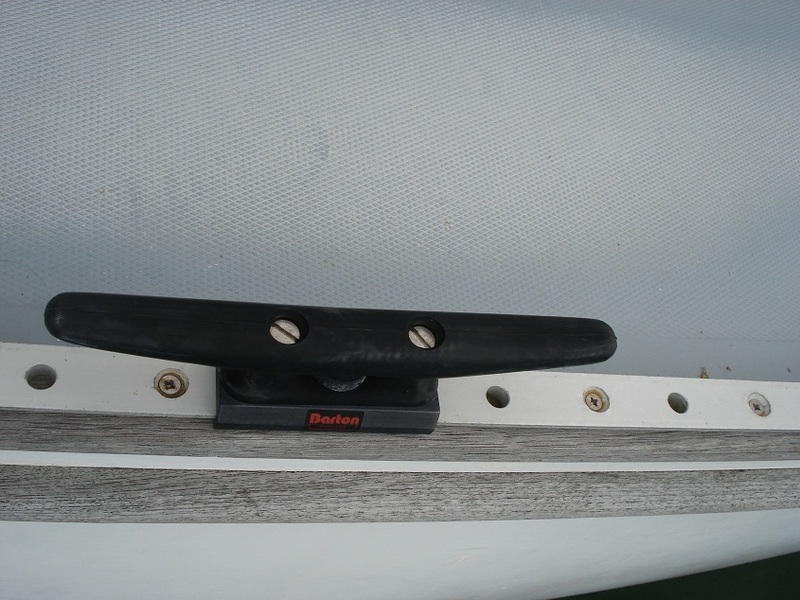 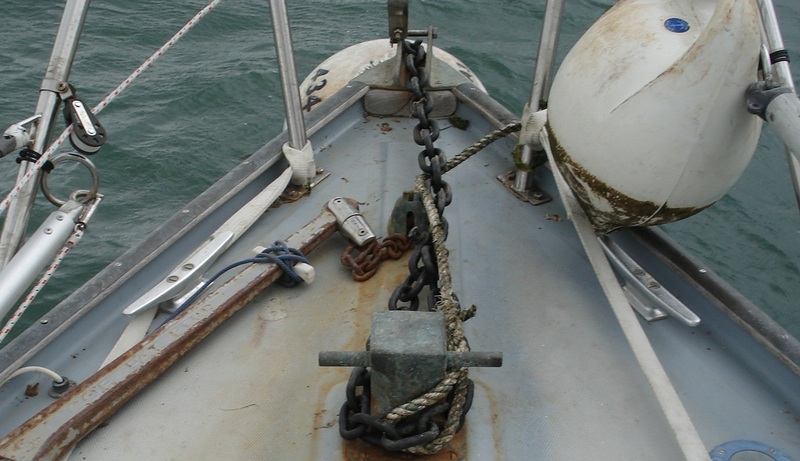 We also favour a cleat amidships and have been testing out a Barton genoa track sliding cleat. 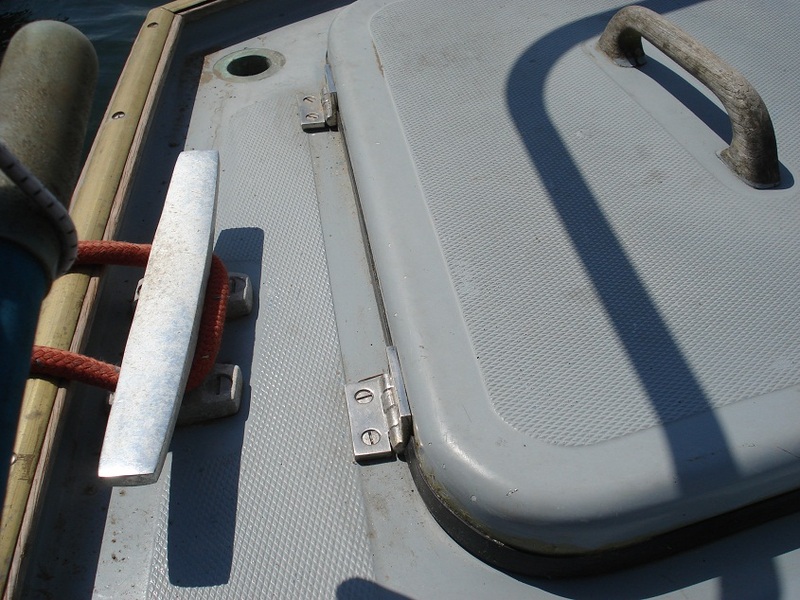 A pair of clam cleats were also fitted to the cockpit coaming behind the genoa winches.